You know sometimes you have to travel to do your vegan shopping? Wouldn't it be handy to have a look around your destination shop before you get there. 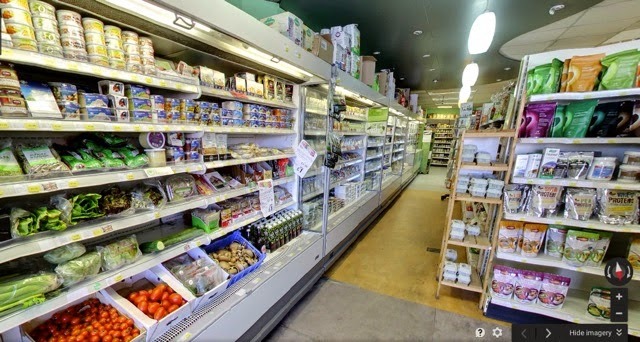 You might know about this already, but Google Maps offers a 'See Inside' feature as part of their Street View service. A great example is this one of Out Of This World in Nottingham (embedded Streetview - try it).